There are 192 member countries of the UN. On June 28, 2006, Montenegro became the latest addition. Now, only sovereign states can become members of the U.N., but four of the original member states (Belarus, India, the Philippines, and Ukraine) were not independent at the time of their admission. Now, all member states are sovereign. Although the United Nations headquarters are located in New York City, the land is international territory. Japan is the second-largest contributor to the U.N. after the United States. Together they account for about 40% of the U.N.’s budget. The five permanent members of the Security Council are: the United States, United Kingdom, China, France, and Russia. No candidate for Secretary-General has been from the country of one of the permanent members of the Security Council; however, the General Assembly has never rejected a candidate recommended by the Security Council. There are also 10 seats on the Security Council for two-year terms. The current non-permanent members are: Belgium, Republic of the Congo, Ghana, Indonesia, Italy, Panama, Peru, Qatar, Slovakia, and South Africa. 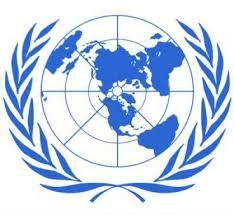 The U.N. has six official languages: Arabic, Chinese, English, French, Russian, and Spanish. This includes the languages of the five permanent members of the Security Council, plus Spanish (included because the largest number of member states speak Spanish), plus Arabic (included after the 1973 oil crisis). The U.N. has two working languages: English and French. Pakistan, India, and Bangladesh contribute the largest number of individuals to U.N. peacekeeping missions.